10 cartridges will be enough around our new cabin built on 6"x6" pressure treated post about 1ft above ground but how many will use bait vs kill with supplied bait and kill cartridges? The kit comes with a box of (6) Shatter Bait Cartridges. Not all of the Hex Pro Stations will need bait. Typically, only a few Hex Pro Stations will get termite "hits" and need have Shatter installed. 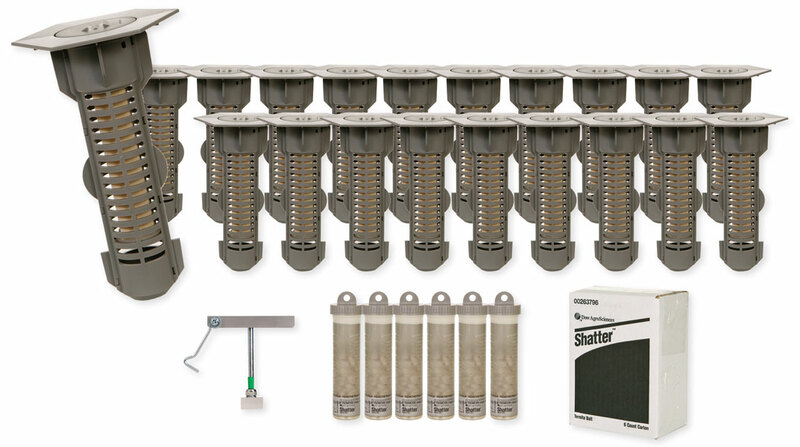 6 Shatter cartridges is enough bait to kill an average size subterranean termite colony. Basically, when the Shatter cartridge is nearly empty, we recommend to replace it with a new cartridge. In most cases, Shatter cartridges never need to be replaced once installed.